Lush have been bringing out a whole host of fabulous lip scrubs lately, so many in fact that my collection of them has grown quite dramatically over the last few months. I really enjoyed using lip scrubs and they have become a staple of mine so I always love trying out the new versions of this product. 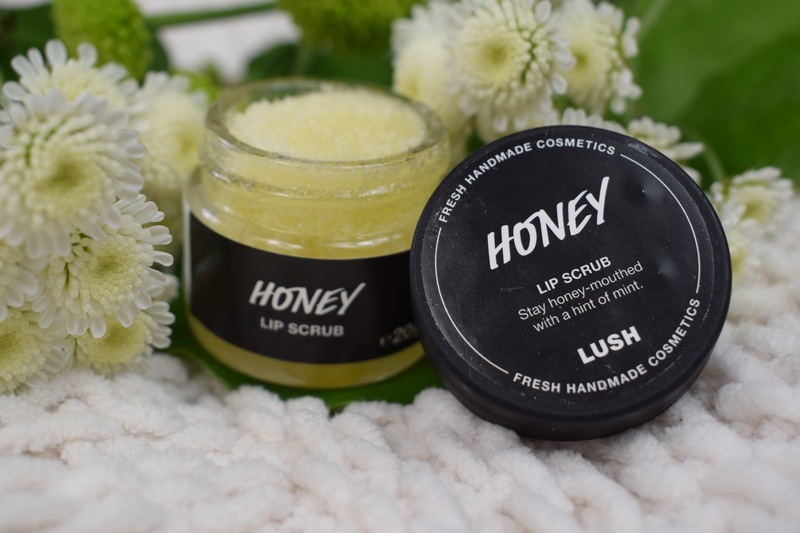 As part of this years Mother’s Day range Lush have released the Honey Lip Scrub. This product made an appearance on the Lush kitchen last year, but has never been released into stores before. As the name suggests the Honey lip scrub contains a good helping of honey. This gives the lip scrub a very sweet honey scent and taste. The Honey lips scrub also contains white chocolate and vanilla absolute which adds to this sweetness. Wild orange oil is also included which adds a slight fruity twist to the scrub and finally this scrub also includes peppermint oil which I was very surprised about. The first time I tried this scrub I didn’t read the ingredients list and was pleased to find a sweet honey taste. I wasn’t until a few seconds into using this scrub I noticed the peppermint. I was pleasantly surprised to find that although unexpected this ingredient works really well in this scrub and add a cooling and refreshing element. 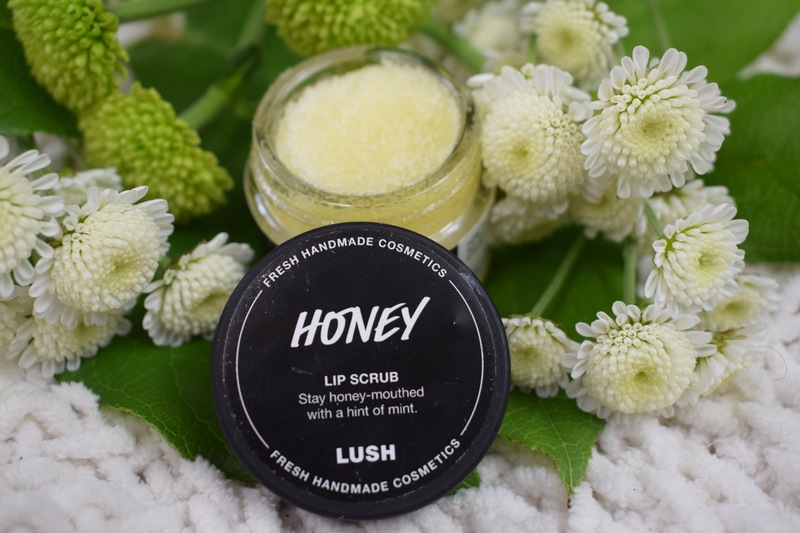 As with all of the Lush lips scrubs, the Honey scrub is completely edible. To use this product scoop a small amount out with your finger and the gentle scrub over your lips. Once finished you can lick this yummy scrub off. I found this scrub worked very well at removing dry skin from my lips and left them feeling very soft. This scrub isn’t as moisturising as some of the other Lush scrubs but sometime I prefer this. 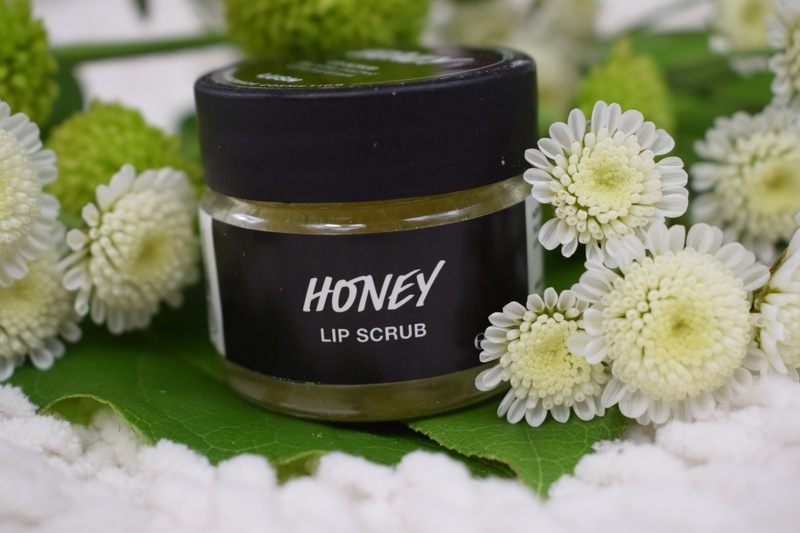 Overall I really liked the Honey Lip Scrub and look forward to seeing what other scrubs Lush will be releasing in the future.